1895 - 48 interesting selection of 22 pcs of various entires, major-part abroad, several PC, 3x R, 1x Ex with German censorship, coupons from postage stmp etc.. good condition. 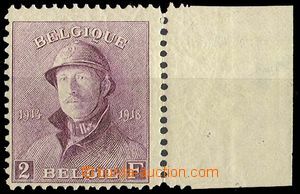 1910 - 13 2 pcs of Ppc with exhibition machine postmark Brussels Exposition 1910 and Gand Exposition 1913. good condition. 1929 - 44 comp. 5 pcs of franked with. delivery advices zapsaných mailing, every franking other, interesting, small damage in margins blank forms. 1907 - 42 comp. 5 pcs of entires from that 1x letter field post with censorship 1942, 3x from period of WWI with censorship, military unit postmarks etc.. good condition. 1908 - 37 comp. 9 pcs of entires from that 2x as Registered, part abroad, various franking, part with small damage. 1907 Mi.53 - 59, hinged and No.55 used, to examination. 1917 letter with multicolor franking postage stmp to Austria, CDS Copenhagen 29.1.17, passed through Austrian censorship Zensurstelle Tisnowitz (incomplete print). Light fold, faded envelope. 1940 Reg letter sent from Talinu to Zlín, franked with. 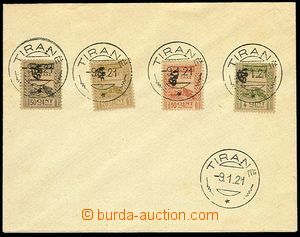 14 pcs of postage stmp, CDS Talin 12.VII.40, on reverse German censorship + arrival Zlín 17.VII.40. 1941 Field post KENTTÄPOSTIA, 2 pcs Ppc with frame cancel., military motives on/for picture part/-s, good condition. 1894 Ste. MARIE de MADAGASCAR, Mi.6, 11, Allegory, hinge / label, by/on/at No.11 shorter teeth, cat. 140MiM. 1906 MOHÉLI comp. of stamps Allegory No. Mi.1 - 4, 2 - 3, 5 - 7, 7, 9 - 10, 12, 13, some clear, mostly used, cat. overall 140MiM. 1861 folded letter burdened with postage-due, stamp. 10c, Mi.P2, cancelled arrival CDS Millau 28.Jan.61. Without damage. 1869 folded letter with 30c, Mi.29, numeral pmk supplemented with CDS St.Jean de Losne 21.11.69, addressed to to Switzerland, arrival Portalier N Berne 22.XI.69. good condition. 1933 Reg letter to Czechoslovakia, with 5Fr, Mi.176, CDS Paris 23.I.33. good condition. 1936 Air-mail + Ex letter sent from France to Czechoslovakia, franked with. airmail stamp Mi.2x 294, 309, CDS Paris Avion/ 12.9.36, transit Prague Airport / 12.IX.36, on reverse framed pmk Came aircraft Brno 2 + CDS Brno 13.IX.36. good condition. 1945 letter from end war, with Mi.376 10c Mercure with oblique black overprint LIBERATION, additional double-line postmark ILOT de St.NAZAIRE/ VIVE la LIBÉRATION, above stmp postmark TAXE PERCUE, CDS BATZ sIMER/ LOIRE INFERIEURE, 9.5.45, rare, nice. 1938 Mi.200 - 202, superb, cat. 24€, in addition Mi.215 - 217.